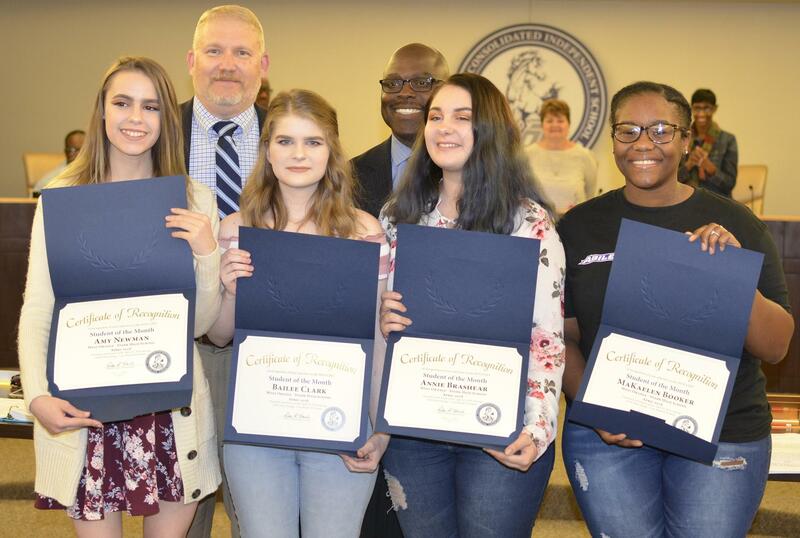 April 2018: Mustang journalism students; Amy Newman, Bailee Clark, Annie Brashear, MaKaelen Booker go out of their way to show compassion, support for a stranger! Amazing gesture by an equally amazing group of young ladies. Read about it in The West Orange-Stark High School online newspaper, The Mustang Message! 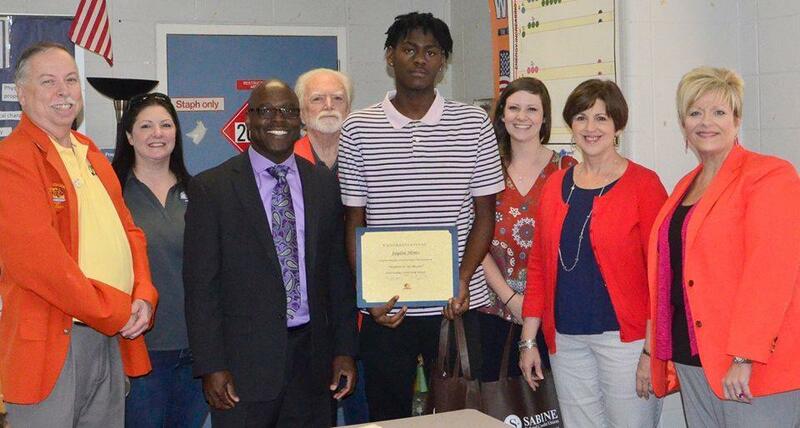 March 2018: West Orange - Stark High School's Jaylon Mims was recently recognized as one of two Students of the Month of March by the Greater Orange Area Chamber of Commerce. Jaylon always has a smile on his face and is very polite. 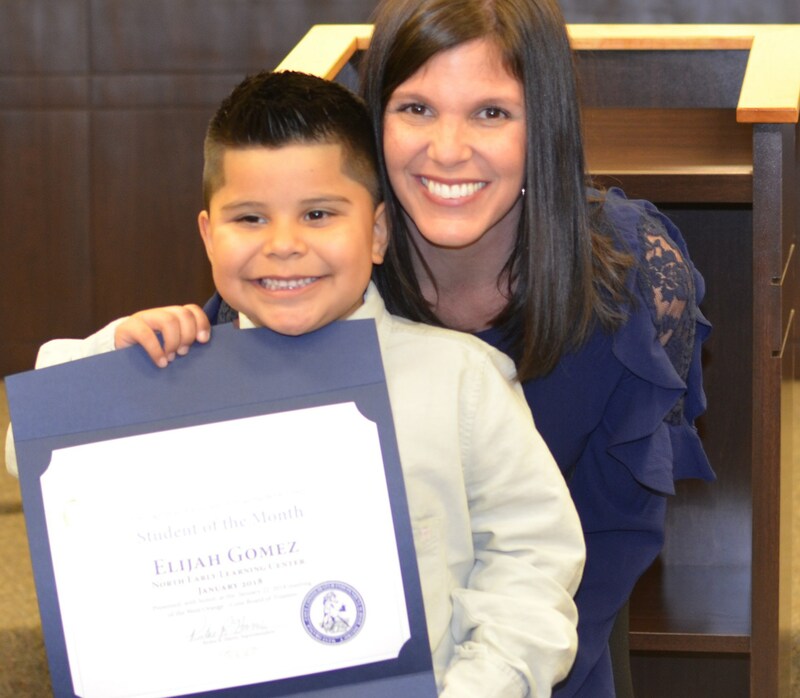 He is an Honor Roll student who is also a member of the varsity football and varsity basketball teams. Jaylon will be attending Rice University and will play wide receiver on their football team. After college, he wants to own his own chain of restaurants. He wants to serve a variety of foods with a focus on seafood. Congratulations, Jaylon! 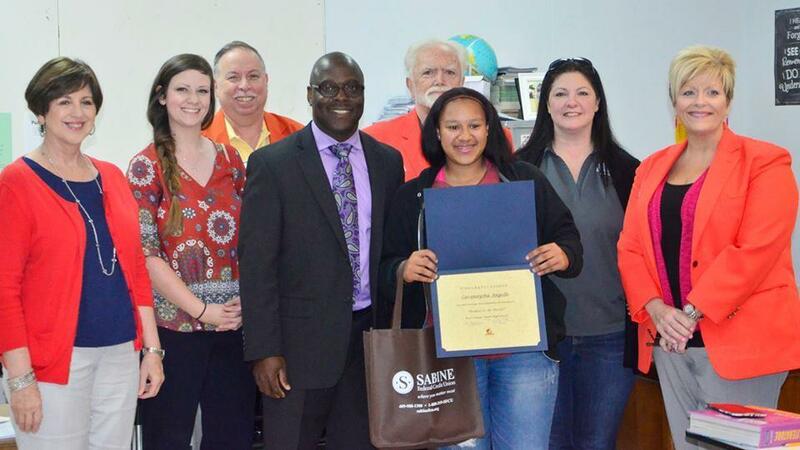 March 2018: West Orange - Stark High School's Caranaysha Angelle is one of two Greater Orange Area Chamber of Commerce's Students of the Month for March. She is a very motivated and driven young lady who is also polite, smart, punctual, well-behaved and personable. She is an Honor Roll student and a member of the varsity softball team where she plays third base and pitcher.Caranaysha plans on graduating High School in three years. She would like to get a nursing degree. After college, she would like to work in a hospital and then own her own health services business. Congratulations Caranaysha! 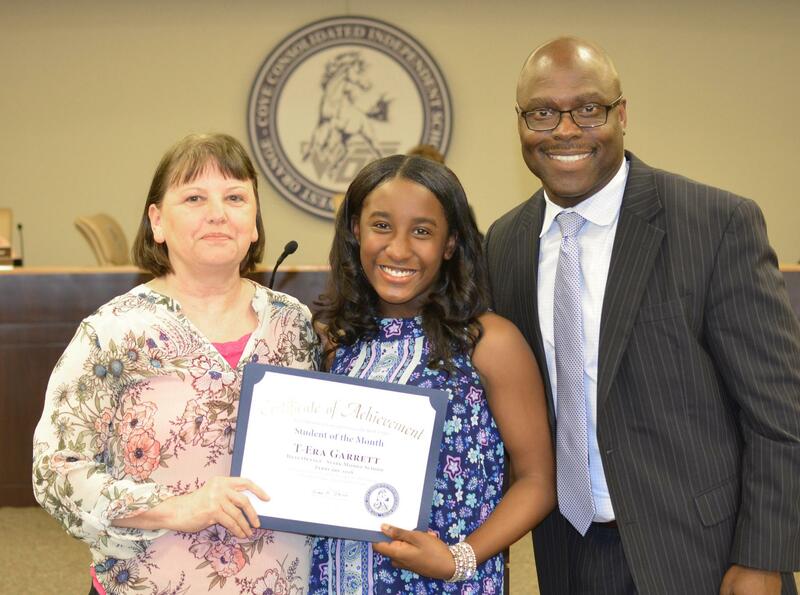 February 2018: T’Era Garrett, a student at West Orange-Stark Middle School, was recognized as our Student of the Month at the last meeting of the Board of Trustees. Congratulations! Ms. Garrett is an exceptional student and is always on top of her classwork. She always makes it a point to listen and take notes every single time she’s asked to do so. She also provides responses even if she’s not 100% sure, when she’s just trying to think things through - and that shows a lot of courage, to be wrong or not completely right in a classroom full of your peers. Ms. Garrett is also exceptional outside of the classroom-- very sweet and polite. She is pictured with WOS Middle School Principal Sherry Hardin and Superintendent Rickie Harris. 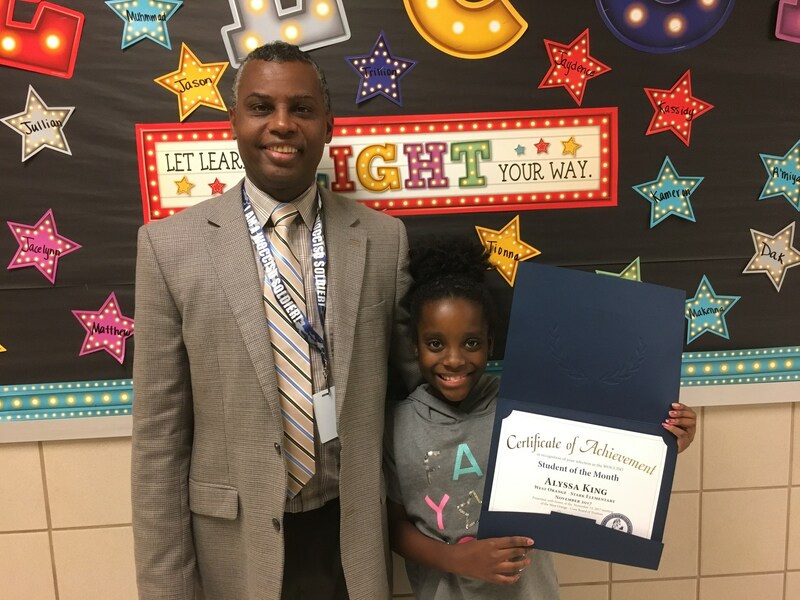 She is pictured with her principal Sherrie Hardin and Superintendent Rickie Harris.